Guard Kobey Woolhouse scored eight of Mayer Lutheran’s first 10 points in the first half as they raced out to a 14-0 lead against Mahnomen-Waubun. 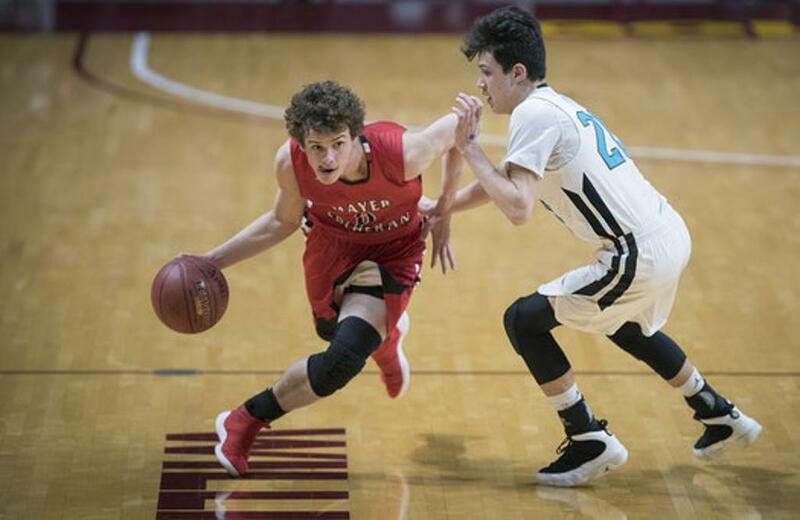 From there, the Crusaders turned the Class 1A quarterfinal game into a blowout, defeating the Thunderbirds 71-40 in the first quarterfinal game Thursday at Williams Arena. The Crusaders’ Baden Noennig scored a game-high 17 points. Mayer Lutheran (28-3) built a 39-18 lead over Mahnomen-Waubun (18-12) at halftime. Mahnomen-Waubun reached the tournament after its first season as a co-op. The Thunderbirds’ Treston Spalla led his team with 12 points. Mahnomen-Waubun coach John Clark Jr. said that his team set the tone in its first season together. Class 1A tournament top seed Mayer Lutheran defeated Mahnomen-Waubun 71-40 in the first quarterfinal game Thursday at Williams Arena. Guard Kobey Woolhouse scored eight of the Crusaders’ first 10 points in the first half as they raced out to a 14-0 lead. Woolhouse finished with 16 points. Mayer Lutheran (28-3), led by first-year coach Patrick Buchanan, built a 39-18 lead over Mahnomen-Waubun (18-12) at halftime. Mahnomen-Waubun entered the tournament after its first season as a co-op. The Thunderbirds’ Treston Spalla led his team with 12 points.